Born September 4, 1916, in Washington, D.C. Appointed by Governor James Lindsay Almond, Jr., on January 30, 1961, to fill the vacancy created by the retirement of Willis Dance Miller and began his service the same day. Elected by the General Assembly on January 25, 1962, to complete the unexpired term of Miller. First elected to a regular 12-year term (beginning February 1, 1967) on February 24, 1966. Service terminated by retirement. 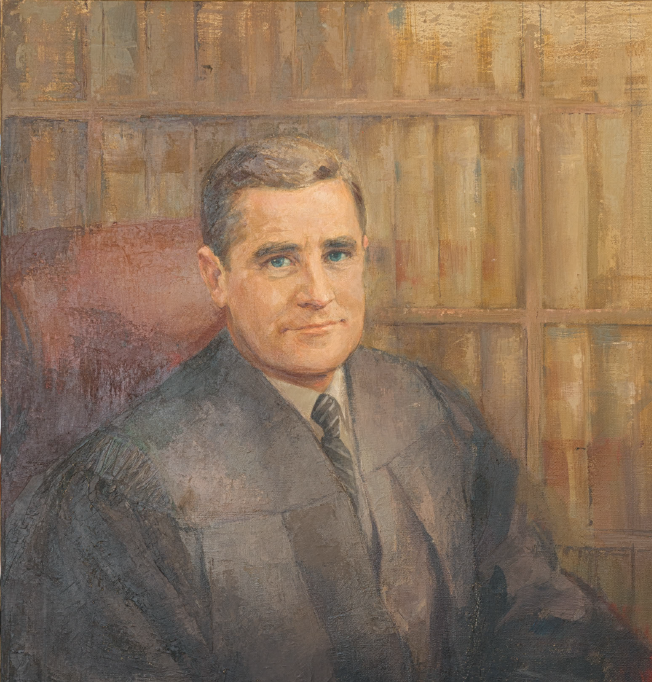 Succeeded Lawrence W. I’Anson as chief justice on February 1, 1981, following I’Anson’s retirement on January 31, 1981. Service terminated by retirement. Appointed, 202 Va., iii; elected to complete Miller’s term, Journal of the Senate of Virginia, 1962 Session, 159-160; first elected to a 12-year term, Journal of the House of Delegates of Virginia, 1966 Regular Session, 552; education, George Washington University Bulletin, 1939-1940, and George Washington University Alumni Directory, 1978; qualified (sworn in) as chief justice, 221 Va., iii; investiture as chief, 221 Va., v-xi; retirement, 265 Va. v; biography, transcript of portrait presentation on February 28, 2006, published in 272 Va., vii-xv; transcript of service recognition ceremony on January 11, 2011, published in 281 Va., xvii; and memorial statement, February 25, 2013, 284 Va., vii; portrait, Library of Virginia catalog. 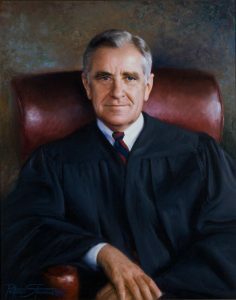 Justice Carrico continued to serve the court as a senior (retired) justice from his retirement in 2003 until his death in 2013.